Please select and purchase your training option. If unable to attend your registered class as scheduled, credit may be used at any of our scheduled class dates, there are no refunds and all purchases are final. A seven-day notice is required for all changes without penalty. All reschedule requests less than 7-day notice are subject to a $55 reschedule fee and a no show-no call is subject to a $95 reschedule fee. In the event of weather emergencies and we cancel the class there is no penalty for a reschedule. 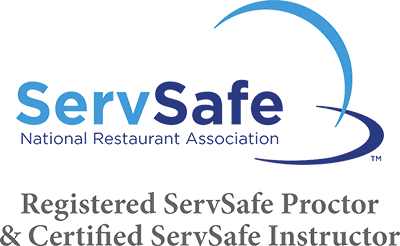 Thank you for choosing HRFoodSafe! When you click a buy now button, you will be transferred to Autorize.Net for payment.